Rubies are one of the four precious stones, which also include diamonds, sapphires, and emeralds. 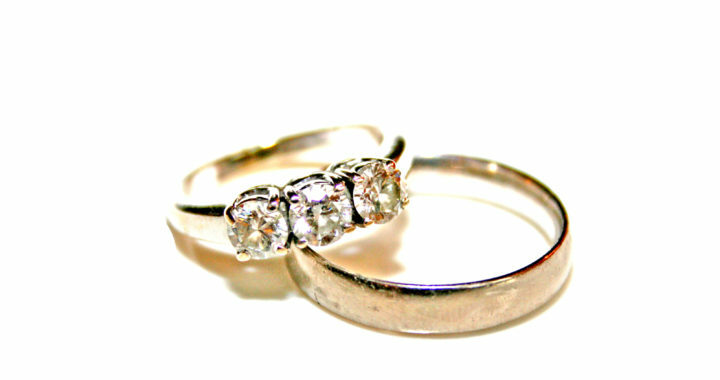 Since they are so bright and stunning, they make ideal engagement rings. If you’re shopping for a ruby engagement ring, you’ll find that there are a number of styles and designs to choose from. One of the biggest factors regarding price is the color. The most valuable rubies are often referred to as “pigeon blood-red”. Secondary hues include purple, pink, and orange. Purple is the preferred secondary hue because it makes the red appear riches. All natural rubies have flaws, which include inclusions of rutile needles and color impurities. The best cuts offer a depth and width ratio higher than comparable cuts of diamonds. Good quality rubies have a depth percentage of 65%-80%. Rubies that are too shallow will look large for their weight and appear lighter in color than deeper-cut rubies. When choosing the ruby engagement ring setting, popular choices include solitaire, three-stone, and side-stone. The three-stone setting features either a ruby as the center-stone, with a diamond and sapphire on either side. 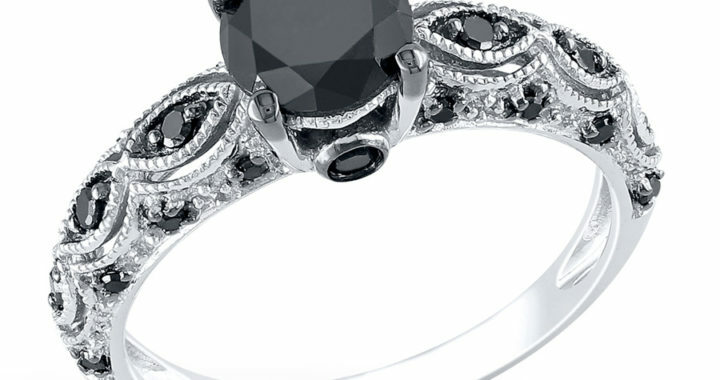 The side-stone setting features a diamond as the center-stone with two rubies on either side. The solitaire ring is timeless. It’s the best setting for capturing the red tones of a ruby. For some women, there’s nothing more beautiful than a solitaire ruby. Others like to see the ruby embellished by sparkling diamonds. 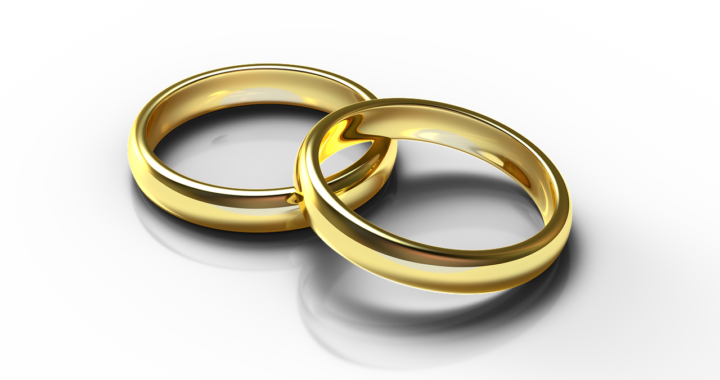 As for the cuts, the most popular for women’s rings include emerald, heart, and oval. For men’s rings, popular cuts include asscher, bezel, and round. An ideal ruby engagement ring for a man would be a ruby in a bezel setting with pave set diamonds. 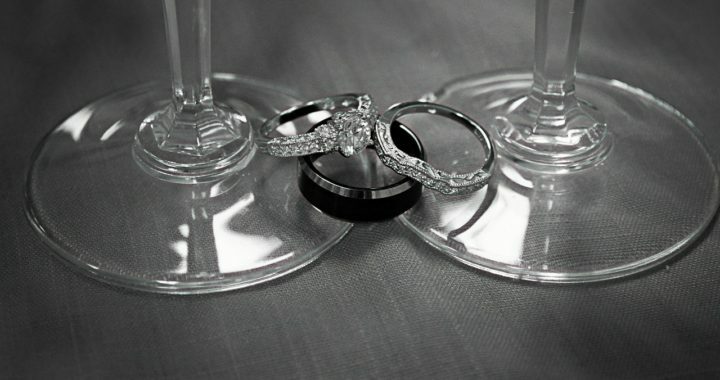 Another key part of selecting an engagement ring is the band. Which band would fit your fiancé’s finger the best? 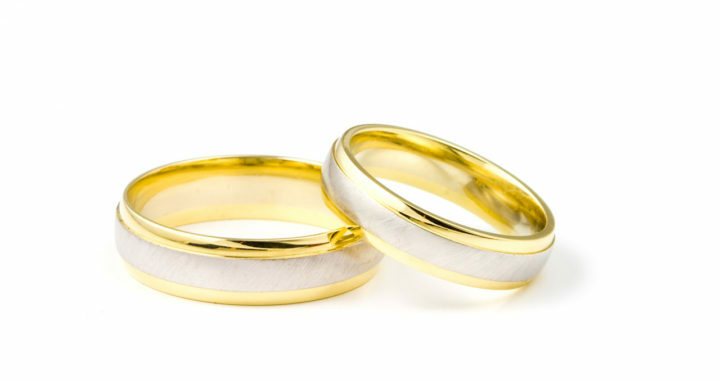 Men’s rings have wider bands. Ruby looks gorgeous with all metal types: platinum, white gold, yellow gold, and silver. Yellow gold is the traditional metal for ruby rings, since gold tends to compliment red. Simple solitaire gemstones look best in gold settings; although a diamond rim surrounding the center ruby looks gorgeous as well. While yellow gold brings out the deep red in a ruby, the gem’s combination with diamonds in silver, platinum, or white gold makes it look sleek and contemporary. Looking for an intricate design? You might find ruby claddagh rings to be a lovely choice. Claddagh designs are usually shaped as a heart, with the ruby in the middle. Sometimes the ruby is part of a three-stone setting along with a diamond and an emerald. 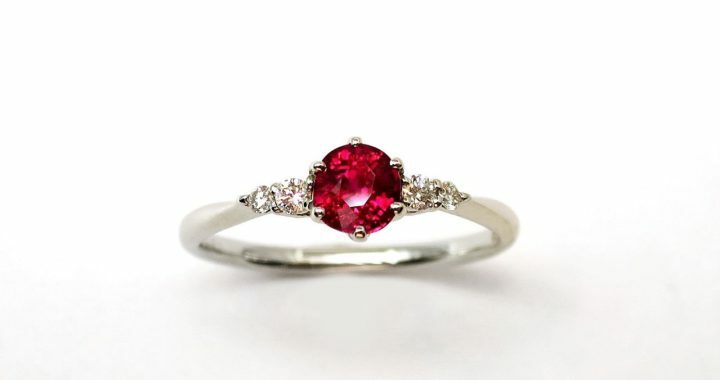 Now you have an idea of what to look for in a ruby engagement ring! Whether you’re shopping for men’s rings or women’s rings, you’ll find that these red gemstones are unparalleled in their beauty. Get your ruby engagement ring at SuperJeweler.com. You can find great deals on ruby engagement rings at 2 carats on up. Be sure to check out ruby necklaces, bracelets, and earrings as well! When it comes to her big day, a girl almost always prefers pearl bridal jewelry over anything else. 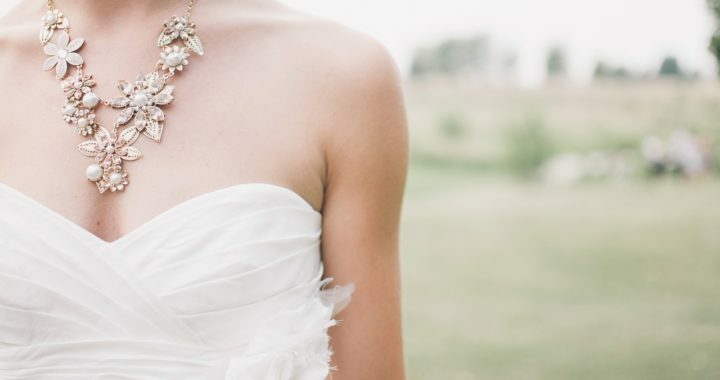 Pearls look lovely with any wedding dress. Brides have been wearing pearls for centuries. They’re available in a variety of styles and colors. Not all of them are white – some are pastel in color. 1. One thing you need to consider is the shape. Not all pearls are round. Large round pearls are actually rare. There are oval pearls, button pearls, and Keishi pearls. Keishis occur when the mollusks reject the injected nucleus and grow a natural pearl. In other words, they are “accidents”, and have unique shapes. 2. As mentioned above, they’re available in a number of colors. Not all pearls are white. Some turn out to be gray, pastel blue, green, and even black. Jet black pearls are very rare. Naturally occurring black pearls come from pearl farms in the French Polynesia, the Philippines, and Indonesia. 3. Which style do you want? Do you want a beaded pearl necklace? A single strand? Double strand? Do you want a single pearl surrounded by rhinestones or diamonds? Once again, you’ll want to choose something that matches your dress and the rest of your accessories. 4. A popular trend is to keep things simple. The bride can wear a freshwater pearl set that includes a simple necklace, matching bracelet, and earrings. The necklace just has one or a few pearls on a strand. 5. Can’t afford fancy pearls? Don’t worry – they vary in price a great deal. An affordable, yet lovely choice is a pearl solitaire on a strand of clear nylon. This creates a “floating” look. You should also consider the length. Do you want a choker or would you prefer a long pearl necklace? 6. 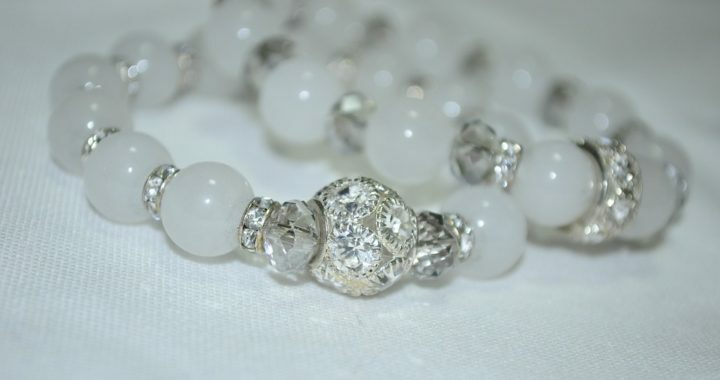 Bracelets are available as single- or multi-strand. One popular style is a single strand of alternating pearls and Swarovski crystals. The pearls and Swarovski crystals are available in all different colors. 7. For the earrings, you can stick with basic pearl studs or go with something fancier. The great thing about stud earrings is that they are versatile. Other styles include pearl hoops, leverbacks, dangles, etc. Some feature pearls alone and others have diamond accents. SuperJeweler.com offers pearl bridal jewelry discounts. You can find beautiful pearls, diamonds, crystals, and gemstones in all colors and varieties. 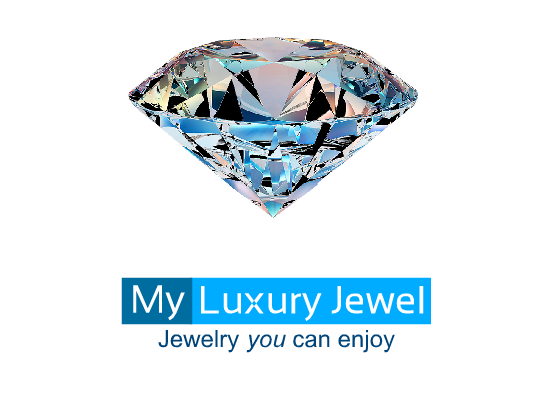 The jewelry superstore offers awesome customer service and free shipping!